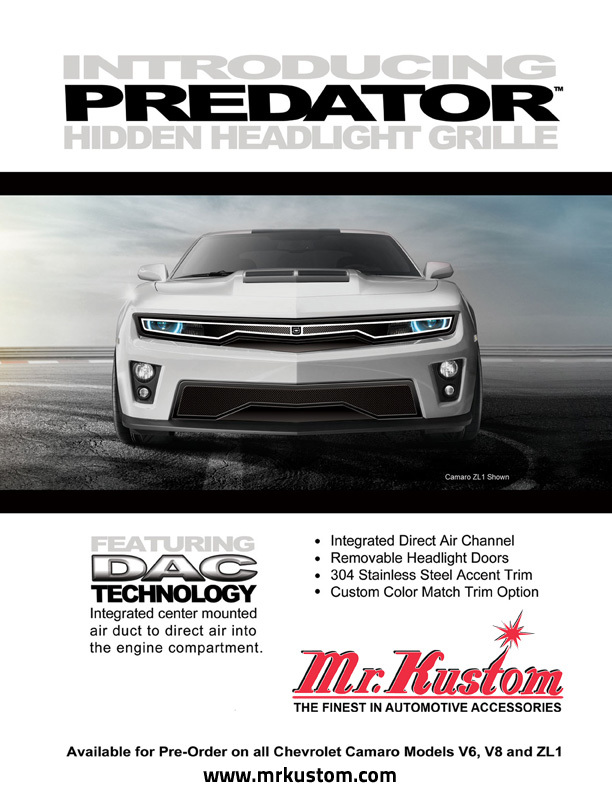 Introducing the brand new Predator Hidden Headlight Grille for Chevy Camaro V6, V8, or ZL1. Want to really dress up your Chevy Camaro? This grille is for you! Integrated center mounted air duct to direct air into the engine compartment. This Predator Hidden Headlight Grille comes with removable headlight doors, custom color match trim option, and more! Contact us today to have a Predator Hidden Headlight Grille for your V6, V8, or ZL1 Camaro, installed on your vehicle today! This entry was posted in Blog and tagged auto news, automotive industry, car accessories, Chevy Camaro, Chevy Camro Grille, custom grille, Custom Trim, Hidden Headlights, Predator Grille.